We are Happy Marketer – we love digital marketing – and we’ve got awesome teams in Singapore, Bengaluru, Mumbai and Kolkata. We’re looking for entrepreneurial-minded techies to join our growing team. You’d be working on executing projects for our clients. Know someone who might be just right for the role? 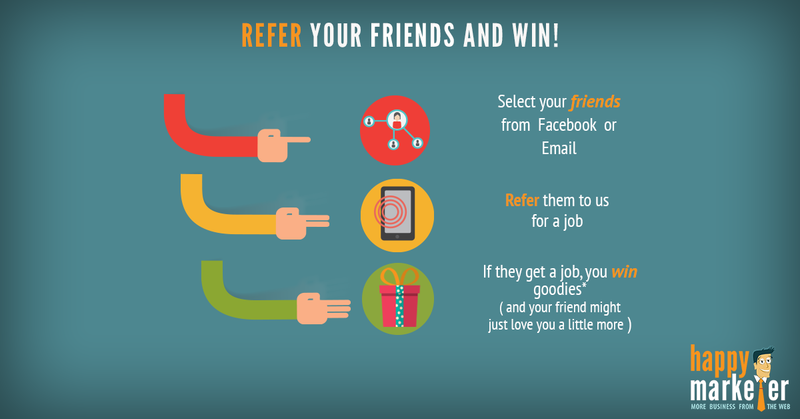 You can also ‘Refer A Friend’ and win awesome goodies. Also, learn why Happy Marketer is the happiest place to work!